Thermostat objects can be added to your drawing if desired. Helps to identify intended locations. A maintenance update for PlumbingCAD 2018 has been released, and it is recommended for all current users of PlumbingCAD 2018 to download and install it now. This update resolves a few component and materials list issues, including some pipe quantity calculations. 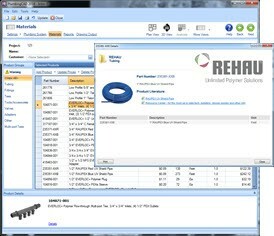 You can use PlumbingCAD 's built-in "Check for Updates" feature located on the Main Menu, or click the link below. PlumbingCAD is a drawing based software for the fast takeoff and quoting of PEX plumbing systems for residential and commercial projects. 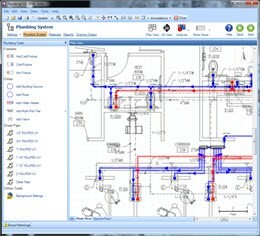 Easily import PDF or AutoCAD drawings, trace the plumbing system and quickly generate materials lists and quotations. Significantly reduce takeoff and quotation time! The 30-day FREE trial is fully functional allowing you to test drive the powerful, time-saving features for yourself. Just click the Downloads link below to download and install your copy now. 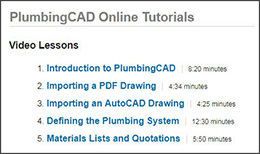 And to help you get started with your project work view the Tutorial Videos available on our website at www.PlumbingCAD.com.